While many people today do much of their reading off of a mobile device of some kind, there’s still something so comforting about curling up with a book; feeling the pages turn in your fingers as you devour chapter after chapter. In this way, bookstores remain relevant despite the lighting-fast pace of technology. Whether you’re on the hunt for the next bestseller, a poetry anthology, travel guidebook, or quirky hidden gem of a book – there’s a place in Toronto to get your hands on it. With that in mind, here are 10 of the best bookstores in Toronto. Founded and operated by a family that goes back four generations in the book business, Book City opened its first store in Toronto’s Annex neighbourhood in 1976. There are now four locations throughout the city, with each offering an intimate setting, attentive and knowledgeable staff, as well as a robust collection of fiction and non-fiction titles. You can also expect lots of discounted books and a 10 percent discount on all hardcover titles. The space itself in the stores is cozy yet never feels cramped, and shelves are well-organized. 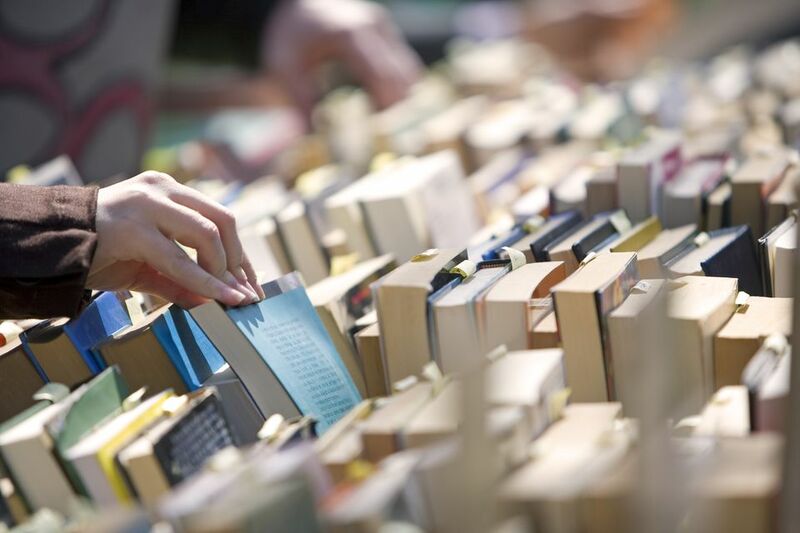 It’s always worth browsing the tables filled with discounted hardcovers for hidden gems at great prices since you never know what you might come across. Located in the West end of Toronto in the city’s Roncesvalles neighbourhood, Another Story Bookshop is a friendly, independent bookstore stocking a wide selection of titles for children, young adults and adults with a focus on themes covering social justice, equity and diversity. The store is set up in a way that makes it easy to browse, with knowledgeable staff happy to help shoppers find what they need or offer suggestions. Another Story also hosts book fairs and literary events regularly. BMV Books is one of those bookstores made for aimless browsing – you never know what you might come across. The selection is extensive but well-organized with the goal of selling unique and interesting titles at reasonable prices. The first BMV Books opened its doors in 1997 and now has four locations in Toronto. No matter which location you shop at, you’re likely to score a good deal on whatever you’re looking for (or even something you never knew you needed). You can also sell your used books, comics, vinyl, DVDs and magazines to the store if you need to offload anything of your own. The Monkey’s Paw is not the sort of bookshop that you visit if you’re in search of the latest bestseller. Just the opposite, in fact. This is the store to go to when you’re on the hunt for something truly unique. Browsing here is an experience unto itself since the collection is so diverse and outside the box. The store is also home to the Bibliomat — the world’s first randomizing vending machine for old books. Put in your money, and the machine will randomly select a book for you. Love vinyl and books? Pandemonium is the perfect bookstore for you. Located in Toronto’s vibrant Junction neighbourhood, this is the place to visit to browse and buy books, CDs, DVDs and vinyl records. Book-wise, the selection is well-curated, organized and affordable and the atmosphere relaxed. The shop’s window is always colourful and intriguing in its display of books, drawing you in with the promise of finding something special. Toronto’s oldest children’s bookstore was founded in 1988, by sisters Eleanor LeFave and Susan McCulloch and if you’ve got kids or know any kids – this is the place to bring them or shop for them. Here you’ll find two floors stocked with a fantastic selection of books, games, puzzles and gifts. The cheerful atmosphere and friendly staff make it easy to linger, whether you’re browsing or buying and the store also hosts classes for all ages. There’s a true community feel to Mable’s Fables that makes a visit any time worthwhile, whether you’re browsing, buying or getting book-buying advice. She Said Boom is another spot that caters to both avid readers and music lovers. With two locations in Toronto, the cozy store is packed with used vinyl records and CDs as well as a used book selection specializing in everything from literature and history, to philosophy, political science, graphic novels and more. You’ll also find kids’ books and even cookbooks dotting the shelves. You might walk in not knowing what you want, but you’re likely to wander out with something intriguing under your arm. They also buy used books and vinyl, if you’re in the mood to get rid of some of your own collection. With three locations in Toronto, Type Books offers a little bit of everything in a way that suits those looking for something gracing the current bestseller list, or something a little more obscure. Their collection of cookbooks is especially intriguing, as is the biography section and selection of children’s literature. If you’re looking to give some unique titles as gifts, Type is a great place to shop. They also stock a good selection of interesting magazines and literature-related gift items. Fantasy and sci-fi lovers will want to put Bakka Phoenix Books on their reading radar. The store opened in 1972 stocking both genre fiction and comics, until the comics side of the business split off into another store, the iconic Silver Snail, in 1976. Since then, the store has been a go-to for anyone wanting to get their sci-fi and fantasy fix. In addition to the extensive collection of unique and interesting materials, Bakka Phoenix hosts numerous events, author appearances, readings and panels. Opened in 2007, Ben McNally Books is located in Toronto’s financial district but you’d never know you’re in one of the busiest areas of the city once you walk through the doors. Soft lighting, high ceilings and elegant décor await, along with a cozy atmosphere conducive to lengthy browsing sessions. Staff is friendly and highly knowledgeable; adept at guiding visitors to titles that suit their needs. The inventory here is always changing, so you never know what you’ll find amongst the stacked shelves and inviting displays.